If you're cheering on little league, high school, college or pro sports, TOPS is your destination for Superfan shopping. You'll find all your favorite gameday supplies and foods as well as team gear and more! So join us Superfans, as we celebrate every great gameday season! 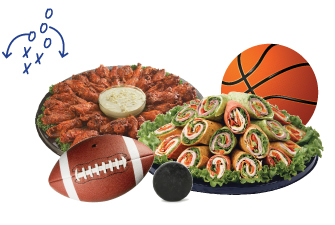 View our Gameday tips and deals created for Superfans like you! TOPS has partnered with the Bills® and your favorite brands to bring you exciting promotions and give back to the communty. Get your game on this season. You could win big with your favorite brands! Tackle hunger with Campbell's Chunky Soup and TOPS. 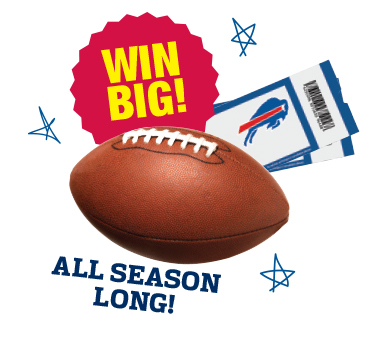 Win Bills® game tickets from P&G. Submit your #BillsSelfie to win tickets from Softlips. Or you could even win the chance to get inside the Tunnel from Pepsi! TOPS is the destination for Superfans on hockey night, and we always love rooting for the hometown team. You'll find everything you need to host hockey night at home or just have a relaxing night watching the game with the family. 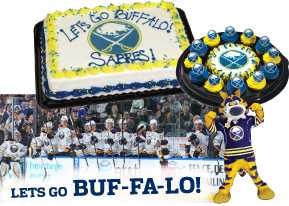 From pizzas and subs to party platters and Sabres-themed baked goods, TOPS is your Sabres Fan Central. Looking for something new to make for this week's game? Check out our online collection of Superfan recipes. 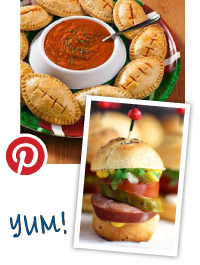 Plus, check out our pinterest board Gameday at TOPS (opens in new window) for more great party suggestions and ideas!